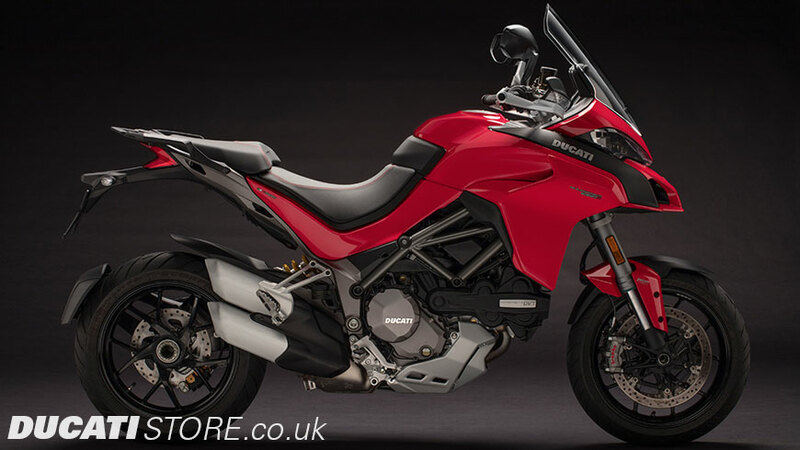 Ducati Manchester are pleased to announce the all new 2018 Ducati Multistrada 1260. This new model is available in 5 versions. 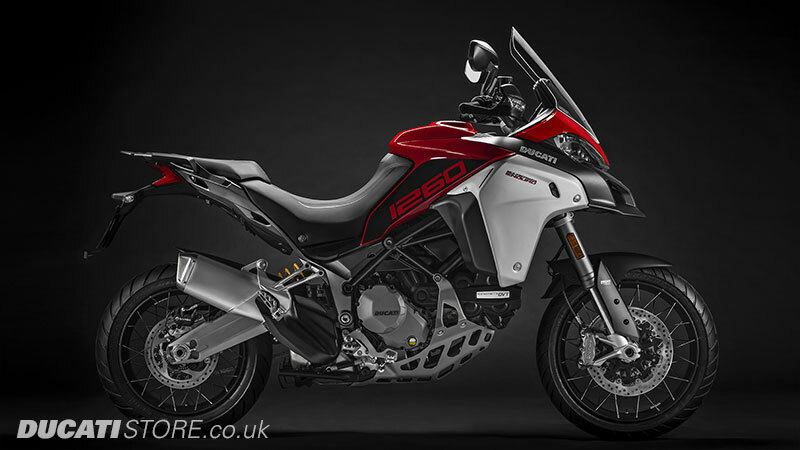 The 2019 Multistrada 1260 Enduro, Multistrada 1260, Multistrada 1260 S, 1260 S D-Air, and the 1260 Pikes Peak version. 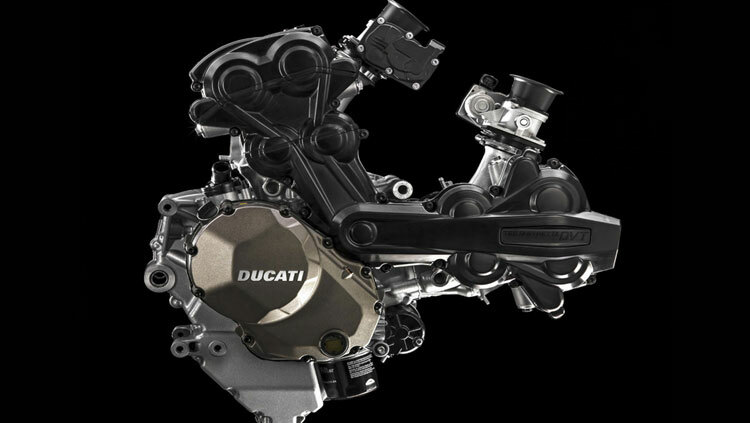 The new 1262 cm3 Ducati Testastretta DVT engine extends powers even in low gear, the new chassis and cutting-edge electronics improve control and ease of driving in any condition and on any road. 2017 Multistrada - Countless roads to choose from. 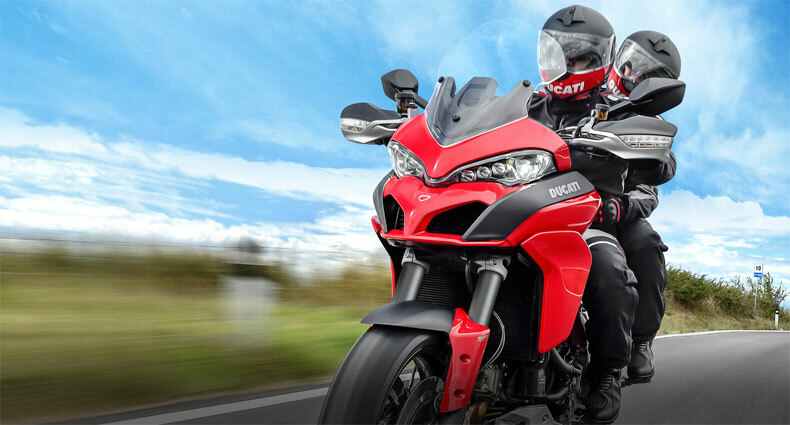 With its groundbreaking Testastretta DVT engine, the new Multistrada 1200 is the only motorcycle in the world with variable timing on all cylinder valves. An unprecedented combination of breathtaking torque, responsive 160hp, ultra-smooth ride and low fuel consumption. 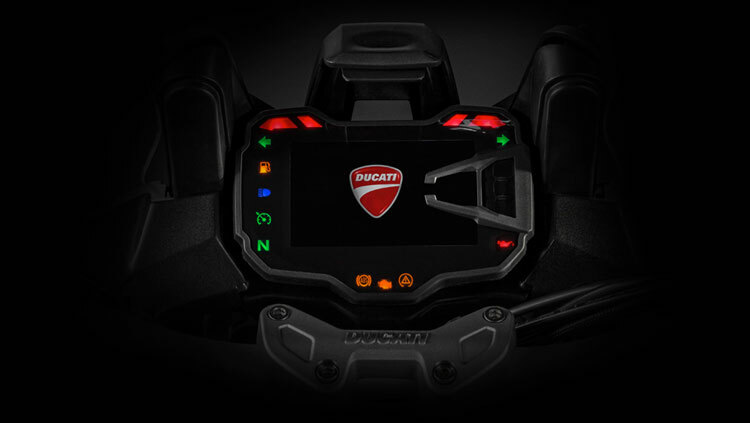 Let cutting-edge electronics inspire your two-wheeled dreams. Flowing lines and essential surfaces create a volume difference between the front and rear: the final result is a dynamic, sporty design. 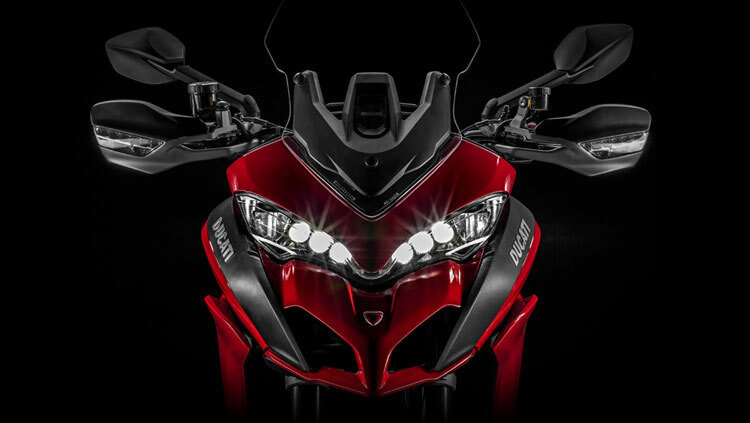 The striking front view is characterised by an aggressive, high-tech headlight which, together with the compact rear light with light-guide effect, are iconic features of the new 2015 Multistrada. 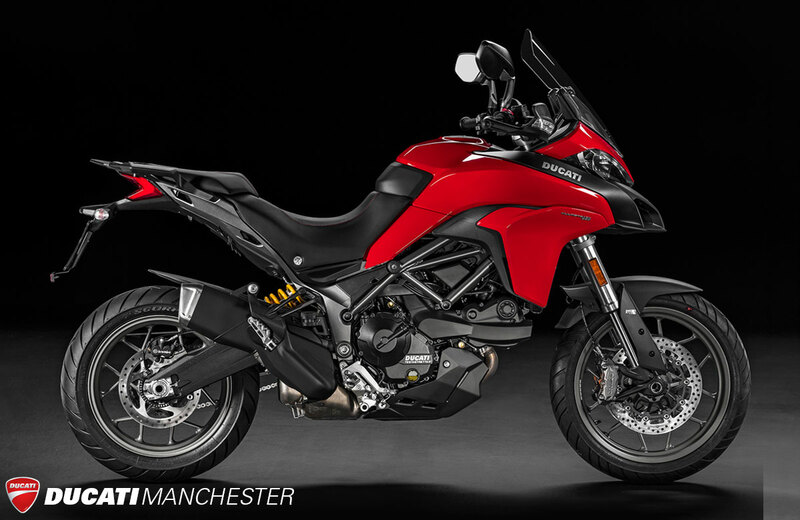 The muscular front is in contrast with the streamlined tail, enhanced by the low-slung exhaust: made of top quality die-cast aluminium, it is left in full view to integrate the side luggage supports. LED technology for the parking lights, low beams, high beams, tail light and front indicators. Introducing the Ducati Testastretta DVT, the first engine equipped with the revolutionary Desmodromic Variable Timing (DVT). It delivers an unprecedented combination of breathtaking torque, class-leading power, super-smoothness and low fuel consumption. The system can continuously vary the position between the camshafts and the crankshaft in the range between minimum and maximum overlap. Furthermore the system has the ability to independently vary the intake and exhaust cams, resulting in an infinite number of possible configurations. The ECU mapping has been developed to select the position that optimizes power delivery, torque, smoothness, and fuel efficiency for the rider’s every throttle command. The enjoyment of riding, reliability and maximum containment of maintenance costs are among the main criteria that drive every engineering project in Ducati. The Testastretta DVT engine is a state-of-the-art product. Its principal maintenance intervals are set at 30,000 km/18,000 miles. Any street you’d like, without second thoughts. On entering a curve, a dedicated LED automatically lights up in the direction of the road, optimising illumination of the path. No more steering in the dark. All bikes are equipped with an electronic speed control, that can be set up by the rider using the buttons integrated into the control panel of the handlebar. 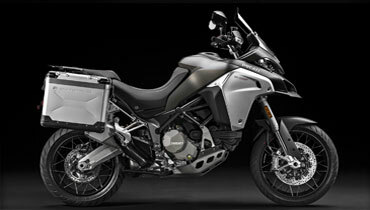 To switch on the Multistrada, simply approach the bike with the electronic key in your pocket. The bike recognises the key and turns itself on, and you think about riding. The revolutionary ABS cornering, thanks to communication with the chassis's inertial platform, allows the system to function even through corners, improving active safety in all conditions. In just a few thousandths of a second, DTC is able to measure and control rear wheel skidding, thus considerably increasing the performance and active safety of the bike. Adjustable on 8 levels and derived from that of the 1199 Superleggera, the DWC analyses bike set-up and manages the torque so as to ensure maximum acceleration in safety. As soon as you sit in the saddle, your smartphone will automatically connect to your motorcycle via Bluetooth: phone calls and the media player can be handled with handlebar buttons, while the caller name or title of the track being played are displayed on the dashboard. You will also be warned of new incoming text messages. Thanks to the Multistrada Link App for Android and IOS, the DMS will also provide access to a full set of functions, using the data acquired from the motorcycle to enhance, integrate and share your Multistrada riding experience. Book your Multistrada Test Ride today - We always have a selection of Demo bikes available at our Manchester showroom. 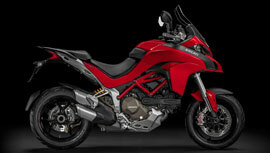 1200 Multistrada is available in Red. 1200 S is available in Red or Iceberg White. 1200 S D|Air is available in Red. 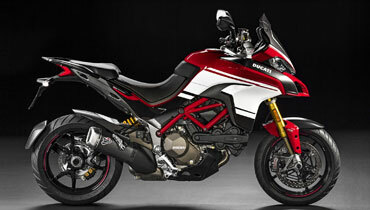 1200 Pikes Peak is available in Red with Stripe Livery. 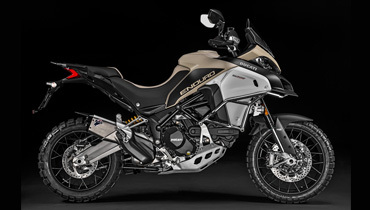 1200 Enduro is available in 3 colour choices: Phantom Grey, Star White Silk, or Red. 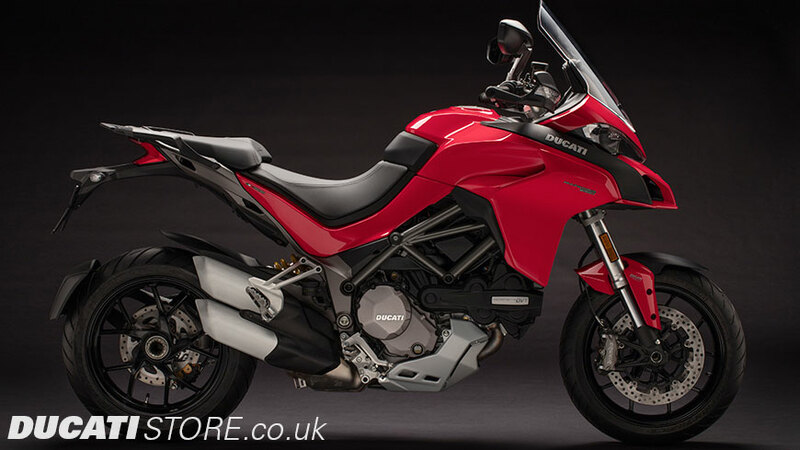 Call Ducati Manchester today to book your test ride on the 2016 Multistrada. 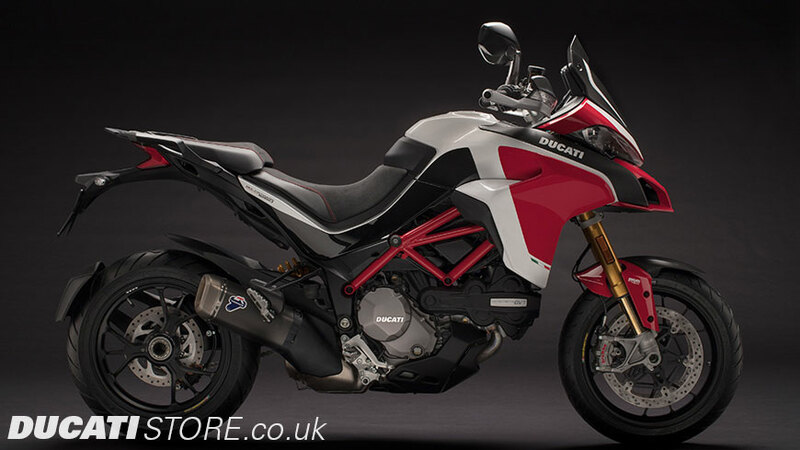 Please view our models archive to see previous multistrada models and colours, including 2015, 2014, 2013, 2012, 2011, 2010 Multistrada and earlier.